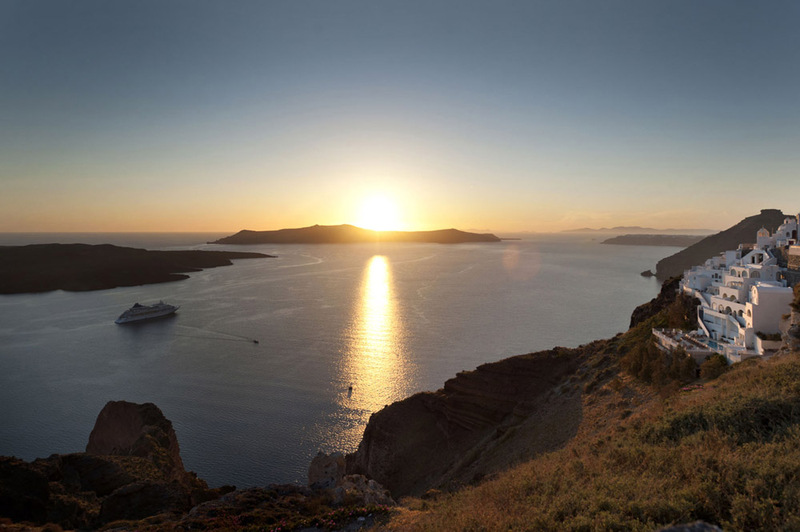 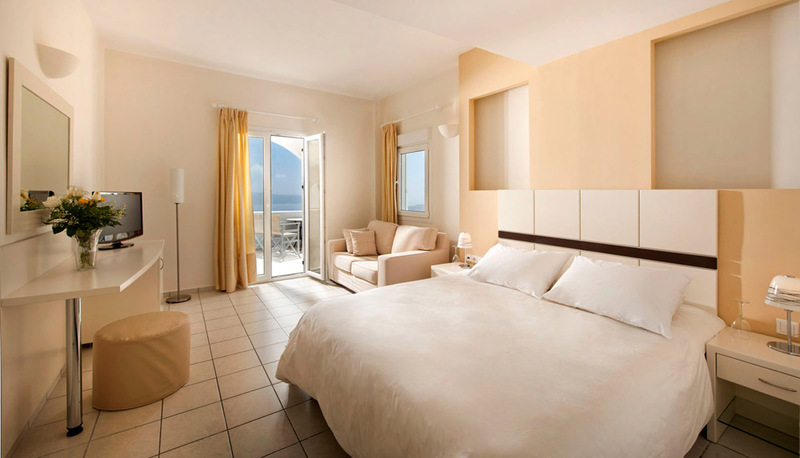 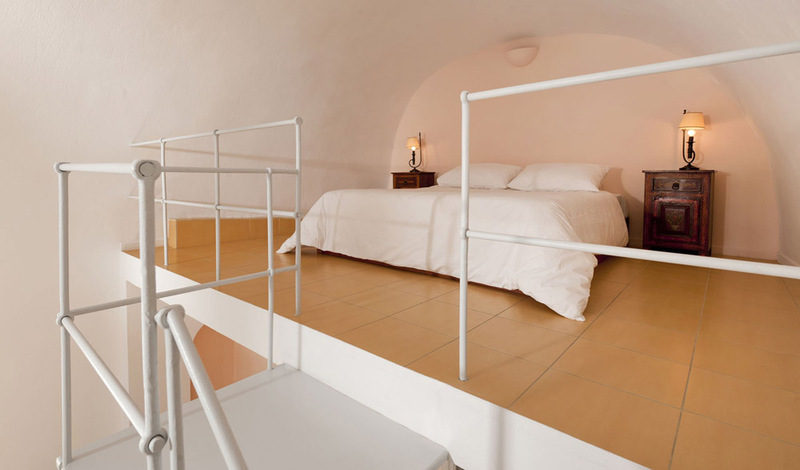 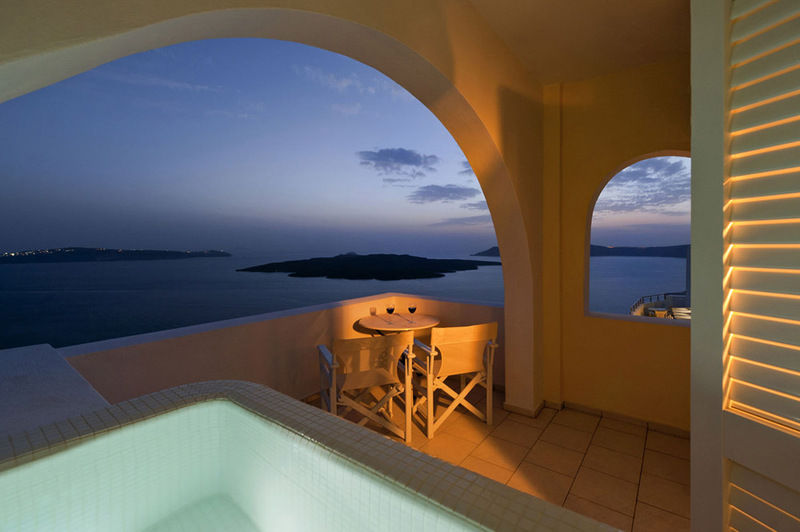 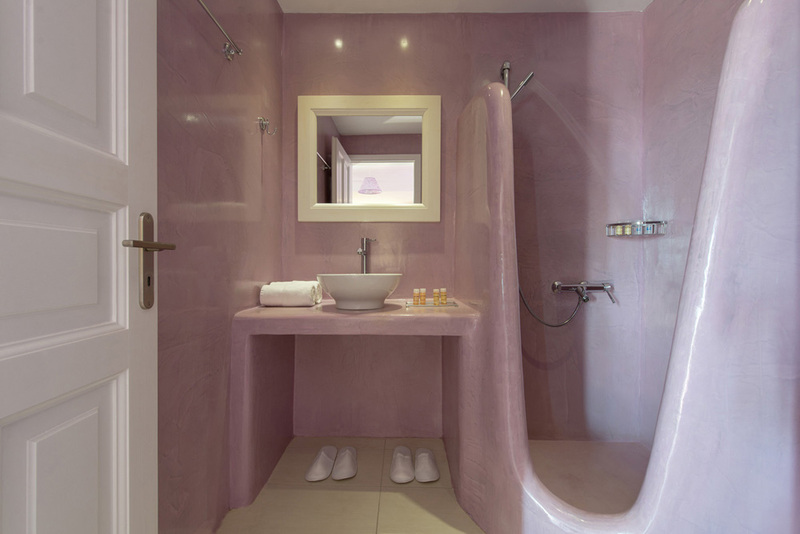 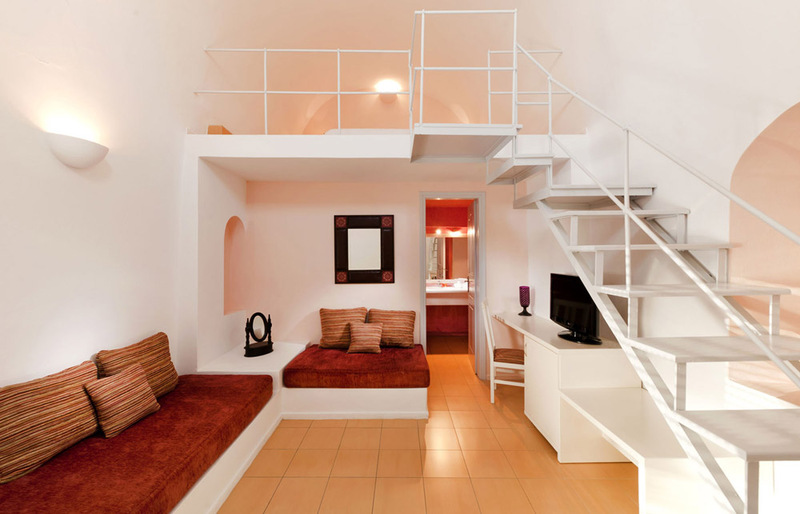 Tzekos Villas is located in the town of Fira, capital & meeting point of Santorini. 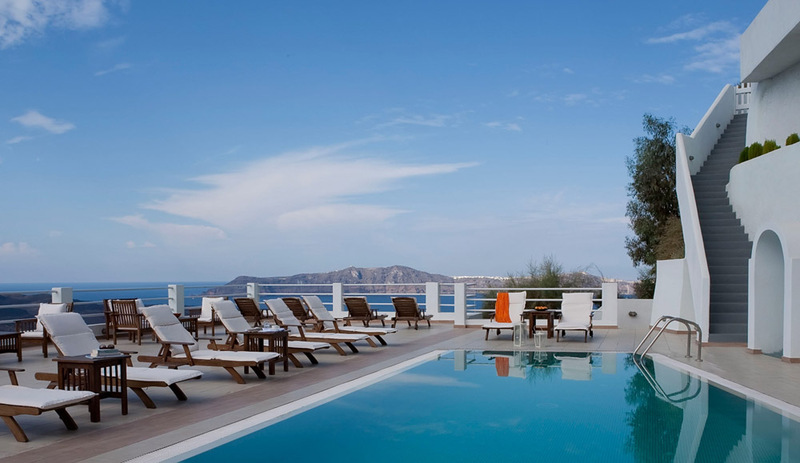 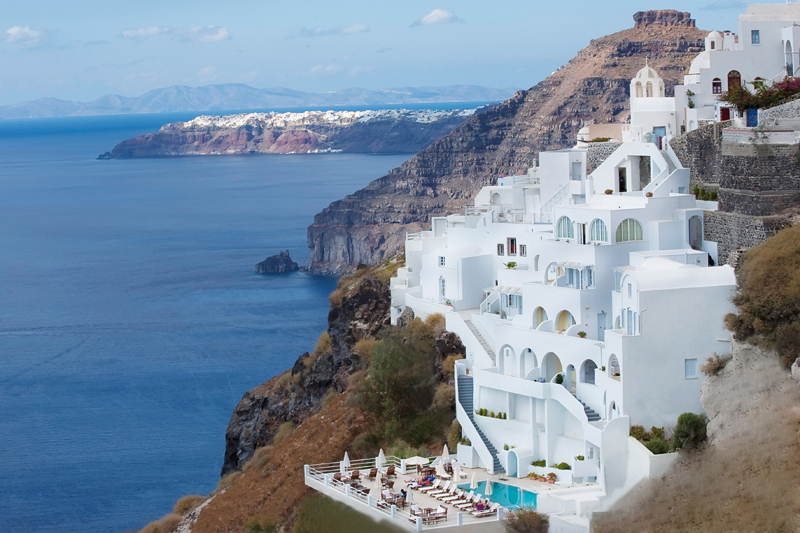 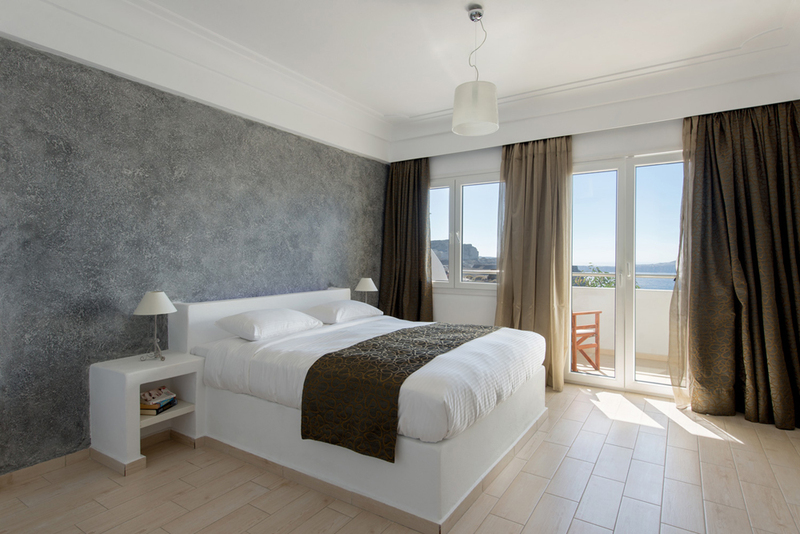 The hotel is built amphitheatrically on the edge of the renowned Caldera & offers unlimited panoramic views of the volcanic islands surrounding Santorini & the deep blue of the Aegean sea. 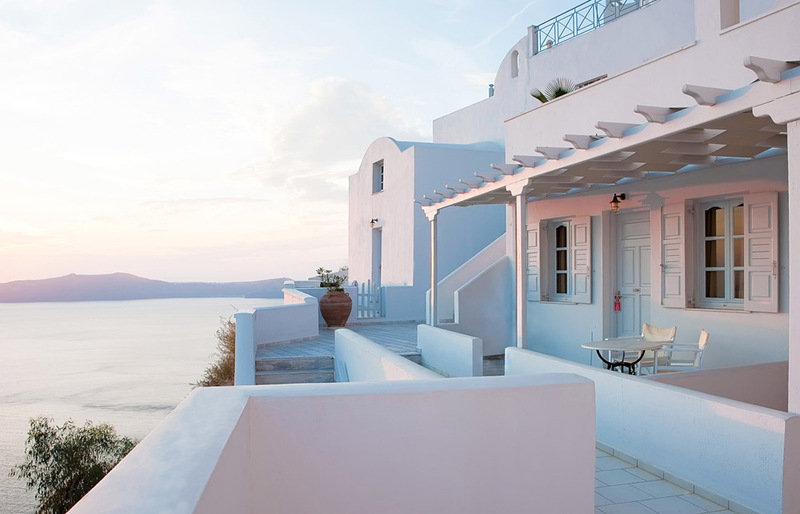 With respect for the traditional architecture of Cyclades, Tzekos resembles a white washed Santorinian village completing the natural majestic landscape of the island. 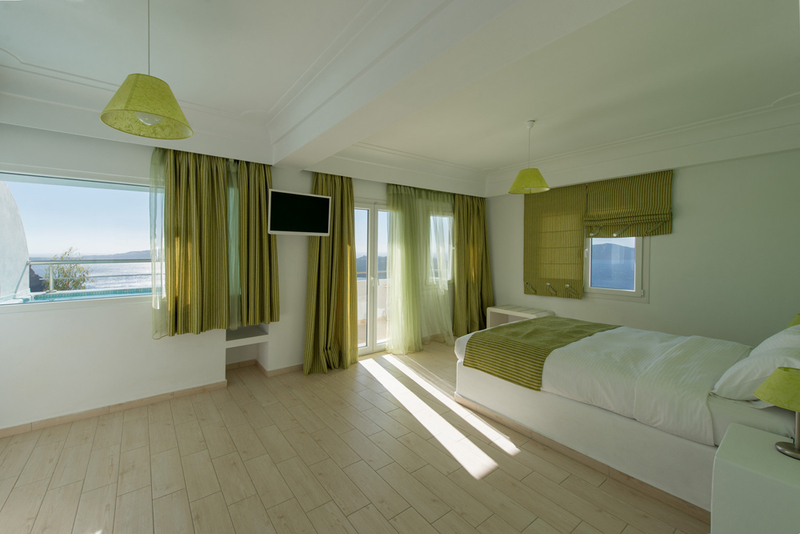 Tzekos Villas offers high quality services. 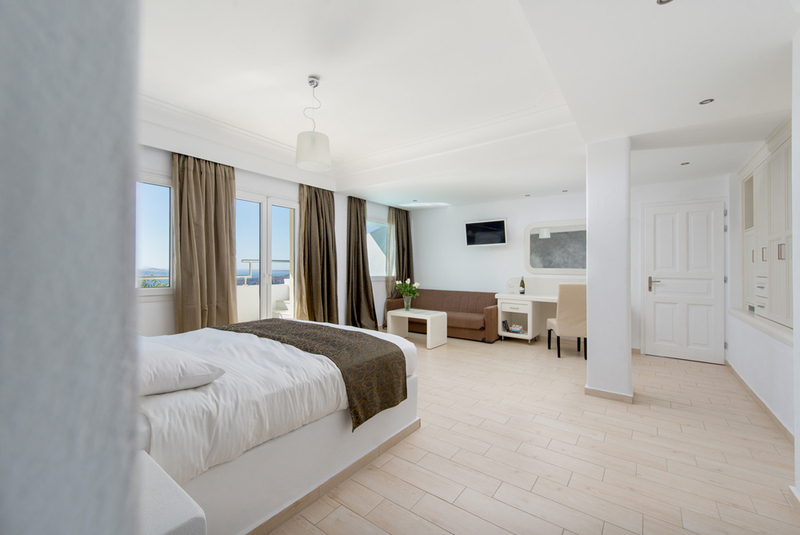 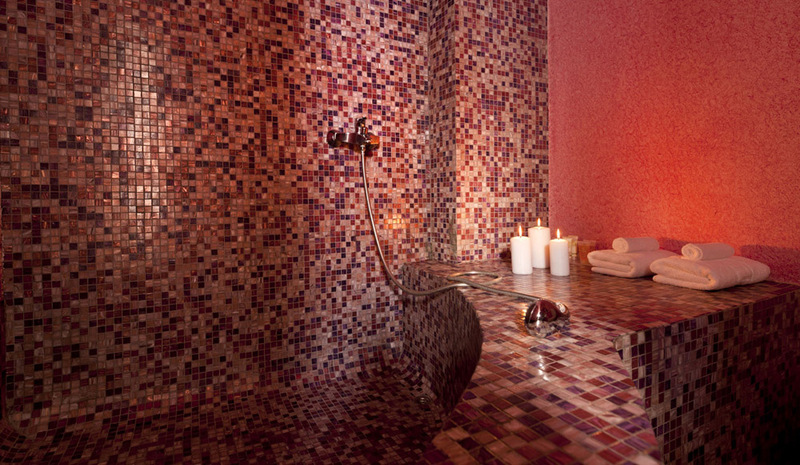 Our aim is to make your stay relaxing, memorable and interesting. 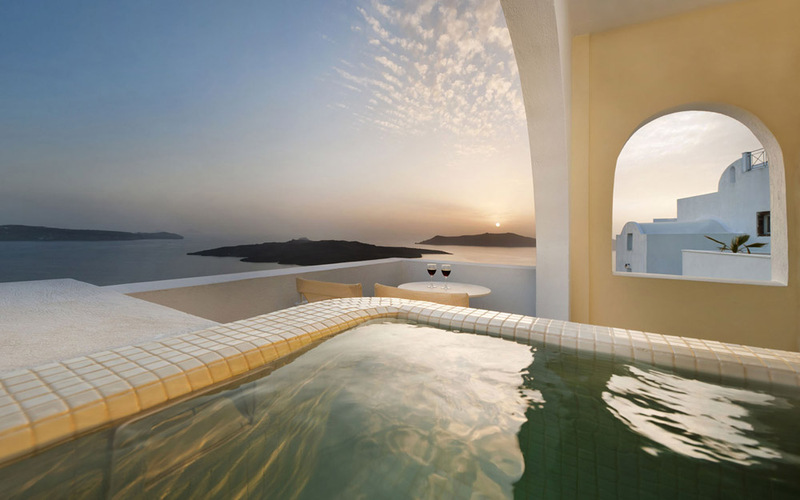 Our pleasure is to provide you with suggestions & advice for all your holiday activities. 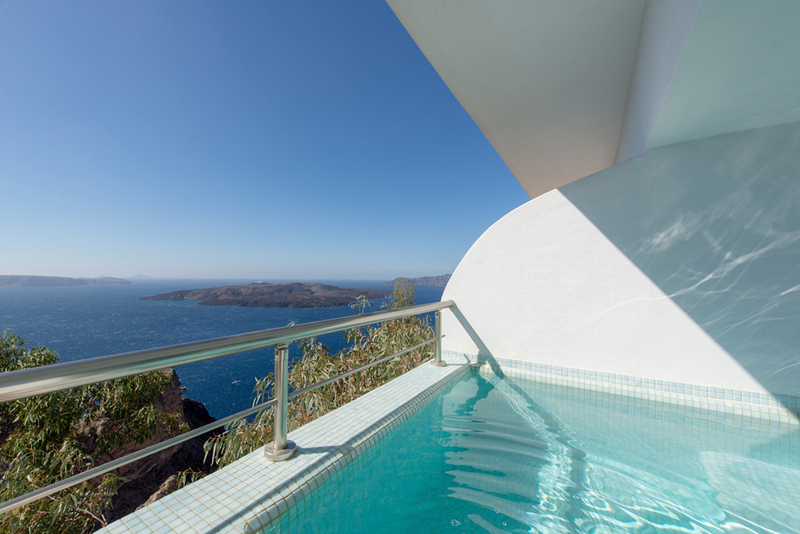 Our Swimming Pool, one of the biggest on the Caldera, perches at the cliff edge, offering moments of refreshing relaxation. 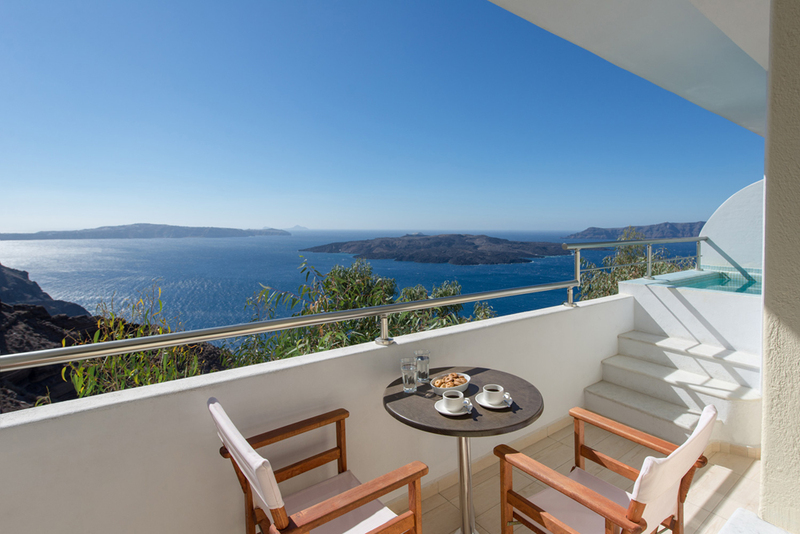 Tzekos Villas Hotel consists of 11 double, 4 triple, 1 quadruple, 4 superior and 2 junior suites all with the view of the Caldera The traditional decoration, different in each room, makes them unique, providing comfort, luxury and the sense of escape.